Are you constantly using weight machines that only target specific muscle groups? Functional training at American Family Fitness helps you train for the activities you perform on a daily basis. Personal trainers offer their knowledge and expertise for a safe and effective exercise routine, and members of our gym can begin with a personal consultation. Start with yours today! Everyday activities, like reaching, lifting, and pulling, are actions that require our bodies to use many different muscle groups at once. Functional training at American Family Fitness in Virginia Center Commons focuses on these daily movements to improve strength, flexibility, endurance, and balance. Targeted exercises we perform in the gym add strength, yes, but sometimes are of little use in the ways our bodies function daily. 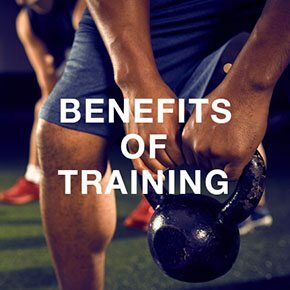 Functional training at our gym in Glen Allen helps to decrease stress on muscles and joints, lessen the risk of injury, and add strength and confidence to daily living. 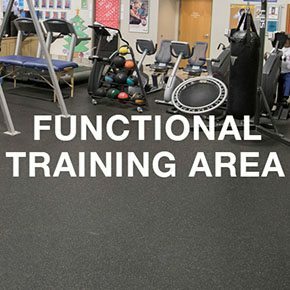 The functional training area offers a wide variety of tools such as resistance bands, blocks, weighted balls, kettlebells, BOSU balls, suspension systems, and more. A personal trainer can help you learn how each is used, including intensity and duration, for the most effective workout. 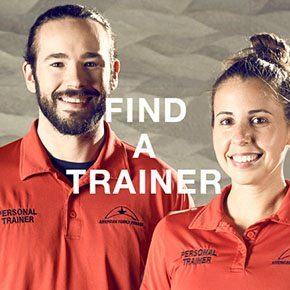 A trainer is a coach who will educate, support and motivate you to success, and at our Glen Allen fitness center, we hire only the most knowledgeable individuals. Begin your fitness experience with a personal consultation; visit our Find a Coach page to speak with someone today!